Last Saturday South Sudan was able to fulfill its long-lasting dream and proclaimed its independence, six months after more than 98% of its population voted on a referendum for the secession from Sudan. The referendum took place as a part of the peace agreement that ended a long civil war which took place between 1983 and 2005 and in which some 1.5 million people died. Free at last. A phrase that many other citizens around the world cannot proclaim, since independence is out of reach of their corresponding territories which form part of bigger sovereign and internationally recognized states. There are many well-known and famous examples of territories around the world that aspire for a full sovereignty, such as Quebec, Tibet, Palestine, Scotland, Flanders, Catalonia, Kurdistan and the Basque Country, to name just a few. Some of them have even come together to form the The Unrecognized Nations and Peoples Organization. The position of Kurdistan to achieve independence is extremely difficult also for the fact that the Kurds are scattered among various states: Turkey, Armenia, Iran, Iraq and Syria. Kurdish militant separatists were particularly active in the Kurdish provinces in Turkey, a fact that even led to a guerrilla warfare between 1980 and 1990 and caused regional tensions ever since. Then there are others who achieved this goal, particularly after the end of the Cold War in 1989, but many – just like South Sudan – at the price of a devastating war that killed thousands of people and destroyed many homes. 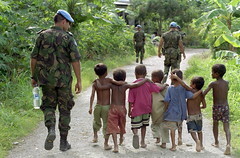 The majority of ex-Yugoslav republics, now independent states, achieved sovereignty in the wars at the beginning of the 1990s, Timor-Leste after nearly three decades of guerrilla fighting against Indonesia, whereas the ex-Soviet republics were only able to do so after one of the two Cold War blocks collapsed and provided a power vacuum which facilitated the eruption of numerous new states on the borders of today’s Russia. Achieving independence is therefore not an easy task and many different factors need to coincide in order for a country to become independent. They could, however, be grouped in two types: internal and external factors. The former vary from one country to the other and are difficult to compare, but so do the external since every state has a unique position in terms of geo-strategic position vis-à-vis other states. Nevertheless we will concentrate only on the external factors denying independence to so many territories around the world. What does it take to become a sovereign state? The first two points of the first article of the convention will be taken for granted and need no further explanation. The third point, the need of possession of government, is also similar, since a group of people with a territory needs some form of a government – as rudimentary as it may be – to communicate with other governments. Complying with only these three conditions would be relatively easy and therefore a fourth condition was established, the one that requires the capacity to enter into relations with other states. Basically that means that if I declare an independent state with a group of my friends on a given territory, I will not be seen as such in the eyes of international law if other states do not recognize me, which consequently means that I cannot engage in contact with them. Therefore, declaring independence without making sure first of the recognition of other states does not seem to make much sense. Timor-Leste is one of those states that achieved sovereignty the hard way. The country declared independence unilaterally in 1975 and was afterwards invaded by Indonesia, which provoked an armed conflict. Full independence was only achieved following the resignation of the Indonesian President Suharto in 1998 and one year later UN peacekeepers were sent to monitor the transition to independence. Some of the contemporary examples of such a situation include Taiwan, recognized only by 23 states, mostly Central American states and none of them being major actors in the international stage; Kosovo, which has been recognized by many countries, including the United States, but nevertheless lacks the recognition of 5 European Union (EU) states, Russia, China and its crucial neighbor, Serbia; and Somaliland, a peaceful corner in the north-west of Somalia. Winning the recognition of all the existing states is not needed, what is necessary is the recognition of all the important states. Estonia, for example, gained its independence in 1991 and has relations with only 170 states (out of the192 members of the United Nations, soon 193 with the acceptance of South Sudan). But no one really cares about the lack of diplomatic relations between Estonia and, say, Tuvalu. Earlier we said that declaring independence without the recognition of other states would not make much sense. Declaring independence unilaterally is one thing, but obtaining recognition is another, and the decision of other sovereign states to recognize a newborn country is carefully calculated. For instance, many countries have to face secessionist movements back at home and are therefore resilient to set precedents. Five EU countries – Spain, Greece, Slovakia, Romania and Cyprus – do not recognize Kosovo, mainly due to the problems they could later have themselves in their own backyard. 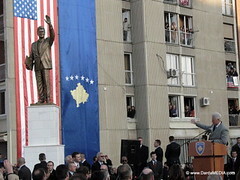 The people of Kosovo came to unveil a statue of Bill Clinton and named a Boulevard after this ex-president of the United States as a sign of gratitude for his support for NATO’s intervention in Kosovo in 1999. The United States were also among the first states to establish full diplomatic relations with Kosovo in 2008. But there are also other reasons for not recognizing a newly declared independent state; Russia for example (besides not being willing to set examples to secessionists at home, particularly in the Caucasus area) is a traditional ally of Serbia and will most likely not recognize Kosovo until Serbia does so. Several countries do not recognize Taiwan (many, such as the United States in 1979, even switched its recognition from Taiwan to People’s Republic of China) so as not to upset the economically growing and powerful China. In fact, China refuses diplomatic contacts with any country that recognizes Taiwan, but does not oppose any cultural, economical and other non-diplomatic ties they might have. This article explains with further details as to why Central American states recognize either China, either Taiwan, from purely economic reasons. Another reason for non-recognition could also be the fear of escalation of violence in potential war zones; this is probably an important reason for not recognizing Somaliland, which has so far been able to remain an oasis of peace in the war-thorn Somalia. A similar example is Bosnia, where the war truly flamed up after receiving the membership of the United Nations in May 1992. The consolidation of peace in some cases should therefore be a priority with respect to the diplomatic recognition. 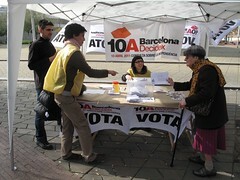 In Spain only the central government in Madrid can authorize a referendum. In the light of this situation a series of legally non-binding “popular consultations” took place in Catalonia between 2009-11. The result was a nearly unanimous support for independence, but the participation barely surpassed 20%; failure for some, but – given the legal character of the consultation – a success for others. According to the Charter of the United Nations, only states can become members, and only the states are therefore those who act as the decision makers. Non-state actors, such as important individuals, non-governmental organizations and sub-state entities, can only participate as observers, with no right to vote (Palestine has been participating as an observer in many UN bodies for years). As a result, only the states have the key to providing statehood to new countries, which in their turn have no legal mechanisms to persuade UN members. Facing the lack of international legal instruments, sub-state entities can also try achieving their independence by using the legal mechanisms of their own states. But the states are usually well prepared and do not allow independence forces to prosper that easily. There are exceptions; Quebec performed – unsuccessfully – a referendum on independence on various occasions, the last one in 1995. The prime minister of the United Kingdom, David Cameron, already said he would allow the referendum for the independence of Scotland to take place, and that he would respect its result. But the Spanish government, on the other hand, has shown no such good will with the promoters of the referendum in Catalonia, aware of the rising support for the independence.